A new book — Representing Israel in Modern Egypt: Ideas, Intellectuals and Foreign Policy from Nasser to Mubarak by Ewan Stein of the University of Edinburgh — examines the positions of Egypt’s political and intellectual classes towards Palestine and Israel since the 1930s. Sarah Irving spoke to Ewan Stein for The Electronic Intifada. 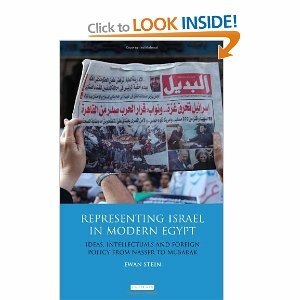 This article is an interview with Ewan Stein, acting director of CASAW at the University of Edinburgh, about his book, Representing Israel in Modern Egypt (published by IB Tauris). It’s look at the way in which the political and intellectual classes in Egypt have thought about Israel from the pre-Nasser era to the fall of Mubarak. 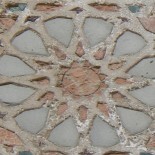 This entry was posted on April 11, 2013 by Sarah Irving in Books, Britain, Edinburgh, Interviews, Middle East, Palestine, Politics, Writing and tagged 'Representing Israel in Modern Egypt', CASAW, Egypt, Electronic Intifada, Ewan Stein, Gaza, IB Tauris, Israel, Morsi, Palestine, University of Edinburgh.